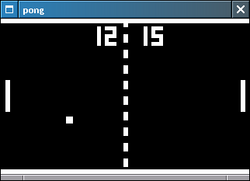 This is not the real "Pong" game by Atari or anybody else. 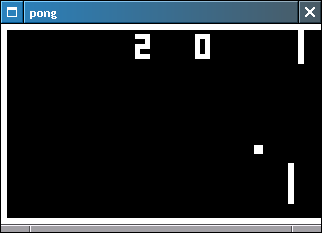 FreeBASIC TV Batball is a Pong-style game that is designed to work as an accurate clone of an AFP "TV Fun" machine that I had. 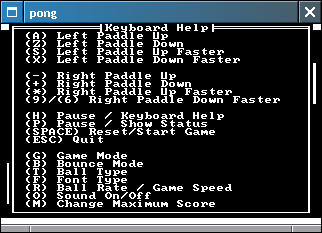 As such, it doesn't do anything too fancy, and it allows the game settings to be changed while the game is being played (just like the machine did with its front-panel switches). 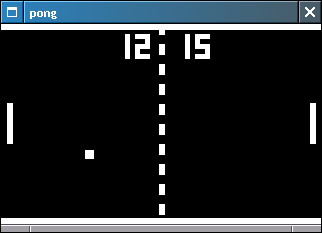 FreeBASIC TV Batball is licensed under the GNU General Public License (version 2 or any later version). 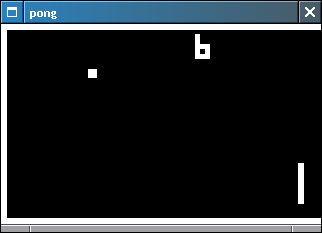 FreeBASIC is used to compile the program. 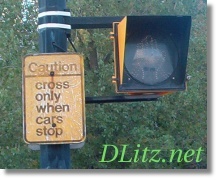 This version includes fixes for Win32, and a Windows executable. It also fixes a nasty off-by-one bug in the 1.1.0 sound code. 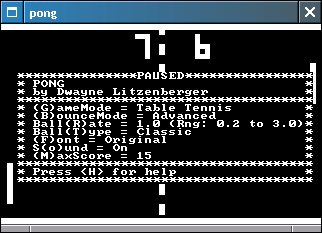 This is the historical version for QBASIC/QuickBASIC (not FreeBASIC) that is essentially the same as the version I handed in for my Grade XI Computer Science course. It's also the oldest version that I still have.